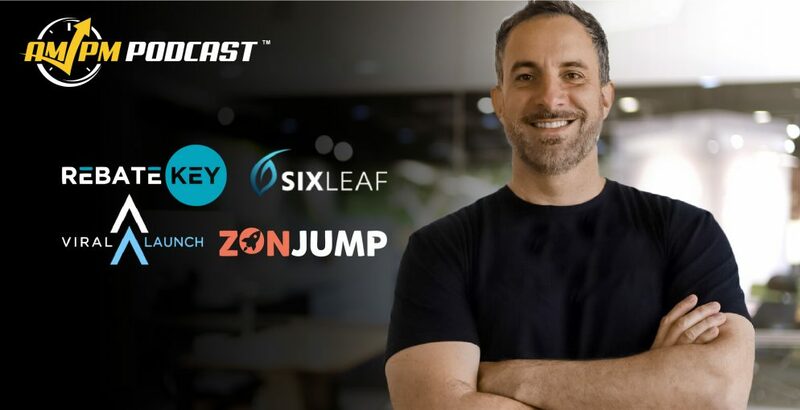 Get all your questions, misconceptions, and more answered in the ultimate podcast about the latest trends in using a product launch via the giveaway method on Amazon to climb the rankings! The AMPM Podcast has taken the roundtable chat to the next level! 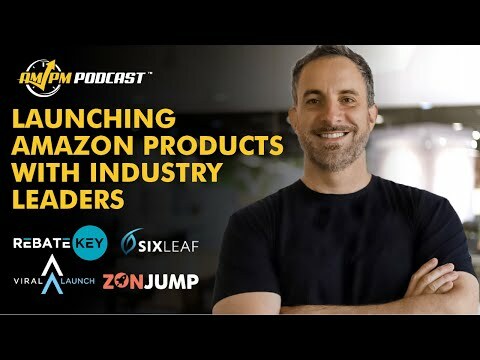 We’ve gathered four industry experts from leading Amazon launch companies ZonJump, Six Leaf, Viral Launch, and Rebate Key to give us their professional opinions on the status of doing product launches today and how they may evolve into the future. Never in the history of our show have we had so many prestigious guests with a combined knowledge that spans the entirety of Amazon itself. Launching a product on Amazon is one of the most contested subjects in all of e-commerce, so we thought we’d help clear the air on what works, what doesn’t, and what is still up for debate! Be sure to turn off your phone, notifications, and any other distractions known to man, because you are not going to want to miss a second of this wealth of Amazon knowledge! Are Product launches Rank Manipulation or Against Amazon TOS? What Has Changed in the Last Year for Product Launches? What Changes Have There Been in URL Services with which URL Structures Work Best for Launches? Are 2-Step Storefront URLs Dead? Which is Better: Brand URL or 2-Step Storefront URL? Are Coupon Codes Becoming Less Effective? Do You Think It’s More Effective to Give Coupon Codes to a Network of Buyers or Randomly Via Platforms Like Facebook? Have You Noticed Any Data Differences in Product Ranking on Different Browsing Platforms Since Amazon’s Changes in August 2018? Have These Amazon Data Differences Affected Product Launches? How Many Days Should Sellers Spend on Their Product Launch Giveaway Period? Why Do You Think 1-2 Day Launches Fall Off So Quickly? Have You Seen Amazon Give Brand-New Listings a “Honeymoon” Juice Boost in the First 30 Days? Do You Recommend That Sellers Close Their Listings If They Are Waiting for Stock to Arrive? Are Product Listings That Achieve Page One Ranking Quickly Through Giveaway Launches Being Penalized by Amazon? How Many Days Should Sellers Spend on Their Product Relaunch Giveaway Period?? Do You Look at Client Conversion Rates Before Recommending a Product Launch Timespan? Will Amazon Penalize You for Running Coupon Discount on Products for Too Long? What Does Not Work Anymore for Product Launches? What Are 3 Products That Sellers Should Stay Away From? What Keyword Mistakes Do You See Sellers Making? What Common Traits Do You See Among Successful Product Launches? What is the Biggest Mistake You See Sellers Make with Their Listings? What Can Sellers Do to Maintain Their Page One Ranking Once They Are There? Would You Run Heavy Sponsored Ads on Your Target Keyword at the Same Time as Your Product Launch? Are There Alternative Product Launch Methods You Would Recommend? Should Sellers Target One Keyword Phrase or Multiple Keyword Phrases During a Product Launch? Would You Rather Rank on Page One for One Keyword at 100,000 Searches Per Month or 10 Keywords at 10,000 Searches Per Month? Is It Better to Target a Few Keywords That Also Have Your Main Keyword Within? What Are the Top Fake News Stories Regarding Product Launches That You See Online? Is There a Verified Review Percentage Cutoff? Are There Any Marketing Techniques to Get Two or More Products Paired as “Frequently Bought Together” on Amazon? What Are Your Recommendations When Building a Product Listing Title? What Changes Do You Foresee (If Any) for Product Launches in the Next Year? Want Your New Product to Rise to Page One Quickly? The CPR Method Can Help Get You There In as Little as 8 Days! Have any thoughts or concerns about doing an Amazon launch the right way? Let us know in the comments below!